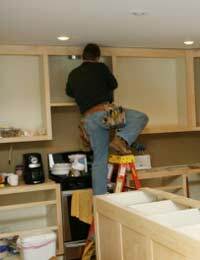 Home > Ask Our Experts > Can I Get a Refund for Missing Items in Kitchen Units? I have recently brought a kitchen from a well known retailer. I received the kitchen in May this year. The kitchen was stored in a spare room in preparation for the fitter. The fitter has now started to fit the kitchen and has subsequently found a number or errors with the kitchen measurements, missing items and items that I have received and paid for but are not required in the kitchen fitting process. The retailer measured the kitchen and admitted reasponsiblity for the error in measurements. Where do I stand with getting replacements for missing items and a refund for items that are not required? There are really two parts to this question. The first involves the kitchen itself, whilst the second is about the items you paid for that really aren’t required – that you were over-sold, in essence. Since you bought the kitchen in May, four months ago, and have just begun having it fitted, it should fall under that 'reasonable' time allowed by the Sale of Goods Act 1979 in which you can return faulty items. The fact that the retailer took the wrong measurements (especially since they’ve admitted it) means that the goods are faulty – the Act specifies that items sold must be safe, fit for the purpose for which they’re intended, and of satisfactory quality. Clearly, your kitchen fails on the last two counts, and as such, the retailer should offer you a refund, replacement, or repair – and that applies to the missing items, too. Obviously, repair isn’t feasible in something fitted, so it’s between replacement or refund, and the choice of which should be up to you. That means the retailer should not only replace the missing items, but also replace those items where the measurements are wrong – and they’ve already admitted responsibility on the measurements, so there should be little problem on that score. But what about the other part, the items you’ve been sold that were unnecessary? From the sound of things, you were over-sold, which isn’t the best business practice, but not illegal – you could have said you didn’t want them. However, if you were specifically told that they were necessary for fitting the kitchen then you were definitely mis-sold, and should complain to the retailer as soon as possible. Taken in conjunction with your other complaint, then there’s a very good chance they’ll take the items back and refund your money. However, if they refuse to do that (and you don’t say what these items were or how much they cost, just a few pounds or well over a hundred), then you should get in touch with Consumer direct or the Citizens Advice Bureau, both of whom can look at the specifics of the situation and advise you fully. I recently bought a garden sofa set from a furniture showroom.The sofa which is an "L" shape, stated that it came with a cover aswell, which was one of the reasons we decided to use this particular retailer.The sofa set when complete should have 7 back cushions & 4 seat cushions as well as a coffee table and seats 6 people.When the order turned up, I was missing the connecting clips that connected the modules together to form the "L" shape. I was also missing the coffee table & 2 back cushions. On top of this, one of the seat cushions had a different thinner foam in it than the other cushions.The first thing I did was to contact the company I purchased through. They immediately said that they would get replacements out to us and that they would get staff to check the warehouse for the coffee table.After 3 days we received the connecting clips to form the "L" shape. However still no coffee table and cushions. After several emails I then received an apology saying that the manufacturer was to blame and that I could have ordered through someone else & still encountered the same problem.I eventually received some replacement cushions, unfortunately they were the wrong size & a slightly different colour.This has gone on like this for 4 weeks. Incorrect cushions turning up and of no use as they are wrong dimension or for a completely different set.I then received the coffee table which was correct. We then decided to put the cover on as rain was forecast overnight. To my dismay, they had just sent a square cover that was for a dining set and would only cover the sofa if we were to dismantle it. Therefore totally unfit for purpose.I finally got the last correct replacement cushion on Friday. However, I now have 11 incorrect one's that are taking up space at home. When I contacted the company they said to keep them as they cost more to send back.They are however of no use to myself so I raised the question of compensation.I spent out £1350 and waited over 6 weeks to end up with the correct sofa set, the countless emails chasing as they never got back to me and a cover that is of no real use. I have been offered £25 as a gesture but was looking at a bit more in view of what stress this has caused.In the interim, I bought an "L" shaped cover for £90 which fits perfectly.How much realistically should I claim for? As you've now got everything you need, the most you can realistically claim for is the price of the cover you've had to purchase and the cost of disposing of the unwanted cushions. You could ask for an additional amount for inconvenience. You'd need to send your request for compensation in a letter detailing why you should be compensated. If it's not satisfactory, use the small claims court as this is not a straight forward consumer rights issue. I recently bought a garden sofa set from a furniture showroom. The sofa which is an "L" shape, stated that it came with a cover aswell, which was one of the reasons we decided to use this particular retailer. The sofa set when complete should have 7 back cushions & 4 seat cushions as well as a coffee table and seats 6 people. When the order turned up, I was missing the connecting clips that connected the modules together to form the "L" shape. I was also missing the coffee table & 2 back cushions. On top of this, one of the seat cushions had a different thinner foam in it than the other cushions. The first thing I did was to contact the company I purchased through. They immediately said that they would get replacements out to us and that they would get staff to check the warehouse for the coffee table. After 3 days we received the connecting clips to form the "L" shape. However still no coffee table and cushions. After several emails I then received an apology saying that the manufacturer was to blame and that I could have ordered through someone else & still encountered the same problem. I eventually received some replacement cushions, unfortunately they were the wrong size & a slightly different colour. This has gone on like this for 4 weeks. Incorrect cushions turning up and of no use as they are wrong dimension or for a completely different set. I then received the coffee table which was correct. We then decided to put the cover on as rain was forecast overnight. To my dismay, they had just sent a square cover that was for a dining set and would only cover the sofa if we were to dismantle it. Therefore totally unfit for purpose. I finally got the last correct replacement cushion on Friday. However, I now have 11 incorrect one's that are taking up space at home. When I contacted the company they said to keep them as they cost more to send back. They are however of no use to myself so I raised the question of compensation. I spent out £1350 and waited over 6 weeks to end up with the correct sofa set, the countless emails chasing as they never got back to me and a cover that is of no real use. I have been offered £25 as a gesture but was looking at a bit more in view of what stress this has caused. In the interim, I bought an "L" shaped cover for £90 which fits perfectly. How much realistically should I claim for? I bought and had a new kitchenfrom a local kitchen retailer and they finished fitting it on 18th March. Because of the upheaval we did not live in the house. We did not move into the house untilthe beginning of June. We didn't realise the tap was leaking until we returned from a week's holiday to find water all over the work surface.We range the retailer straight away but it was now the last week in October. The retailer told us to contact the maker for a replacement part and the retailer would repair the tap. This was done but the tap still leaked. After discussion with the retailer he contacted the maker who replied that I was not entitled to a replacement but they would send a new spout. This arrived, the retailer fitted it today and the tap still leaks. I was told to wait and see how it went on during the day. Am I entitled to a new tap or continuous repairs?